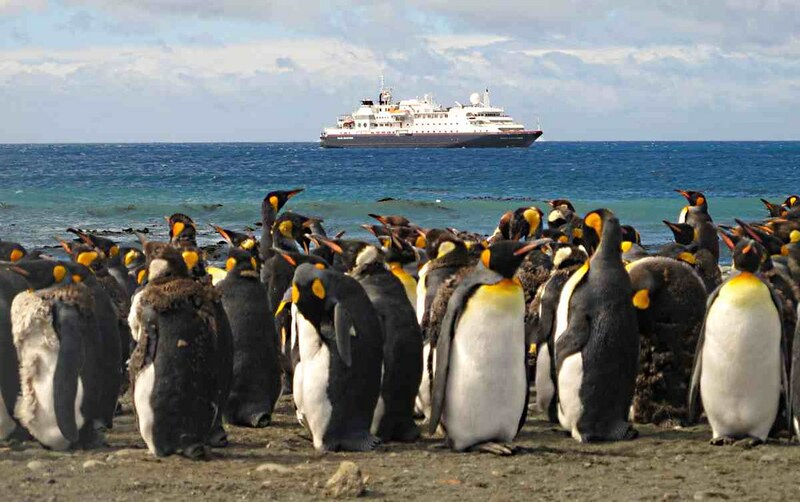 Silversea Cruises is offering guests incredible savings on four exclusive new sub-Antarctic voyages, departing from Dunedin between December 2020 and February 2021. Guests can enjoy included roundtrip economy airfares or reduced Business Class airfares; complimentary transfers between airport, hotel and ship; and one night pre cruise accommodation. Bookings made before 30 April 2019 will also receive a 10% saving off the total fare, as part of Silversea’s Early Booking Bonus offer. Four voyages, ranging from 14 – 22 days aboard the 144-guest Silver Explorer, will transport guests to the worlds’ most remote and unspoilt islands. Often referred to as the Forgotten Islands, New Zealand and Australia’s Sub-Antarctic islands are UNESCO World Heritage listed, and are among some of the least visited places on Earth. Guests will discover mesmerising landscapes and an abundance of wildlife during these adventures of a lifetime. The voyages offer the opportunity to see ten different species of penguins, plus a variety of albatrosses, seals and sea lions. The islands are home to 126 bird species, including 40 different types of seabirds, five of which breed nowhere else in the world, and 11 species of Albatross. Guests will also have the opportunity to spot Minke and Humpback whales which inhabit the ocean beyond. On board, guests will enjoy sumptuous cuisine, the personalised service of a butler, and a generous selection of shipboard amenities including complimentary beverages, wines and spirits served throughout the ship, stocked in-suite beverage cabinet, and complimentary Wi-Fi throughout the ship. In true Silversea Expeditions style, guests will also be enriched by an on-board program of destination lectures, photo presentations and daily recaps. Exploratory Zodiac® excursions and interactive walks ashore, led by experts in their field -- marine biologists, ornithologists, geologists, botanists, historians, and anthropologists, are also complimentary. Dunedin Roundtrip Two 14 day voyages depart roundtrip from Dunedin on 21 December 2020 or 4 January 2021. Guests will discover the majestic Milford and Dusky Sounds before making ports of call at Macquarie Island, Campbell Island, Enderby and Auckland Islands, The Snares and Ulva Island. Early Booking Bonus fares start from AU$17,370* per person, based on double occupancy in an Adventurer Suite. Guests will also receive: complimentary roundtrip economy airfares, or reduced Business Class airfares; free transfers between airport, hotel and ship; and one-night pre-cruise accommodation. Dunedin Roundtrip – Antarctica: Guests on board Silver Explorer will enjoy a 22-day expedition voyage, from 18 January 2021 travelling roundtrip from Dunedin, New Zealand, through the wilds of East Antarctica’s Ross Sea. Early Booking Bonus fares start from AU$33,750* per person, based on double occupancy in and Adventurer Suite. Guests will also receive: complimentary roundtrip economy airfares, or upgrade to Business Class for just AU$2,499 per person each way; free transfers between airport, hotel and ship; and one night pre-cruise accommodation. Dunedin to Melbourne: A 15-day adventure from Dunedin to Melbourne departs 9 February 2021. Guests will discover the Sub-Antarctic Islands of Australia and New Zealand before returning to Melbourne via Hobart and its interesting mix of elegant heritage sandstone buildings and modern architecture. Early Booking Bonus fares start from AU$18,360* per person based on double occupancy in an Adventurer suite. Guests will also receive complimentary roundtrip economy airfares, or reduced Business Class airfares; free transfers between airport, hotel and ship; and one night pre-cruise accommodation.